Anne Waylock thought she was safe. Safe from the madness of demons and the auguren who hunted them. Safe from her tumultuous feelings for the troubled Owin Moran. Safe from the pain of her best friend’s betrayal. Four months ago she ran away from it all, and she never planned on looking back. But when Legion, a mutant demon terrifying and dangerous even to other demons, appears in her new refuge, Anne finds herself forced to flee right back to the people she ran away from.As if Legion weren’t enough, a normal demon hunts Anne as well, ready to devour her body and soul. Peter, normally the voice of reason and sanity in the face of the supernatural, has broken with reality. The auguren themselves are confused and frightened of Legion’s power and the changes it has wrought. 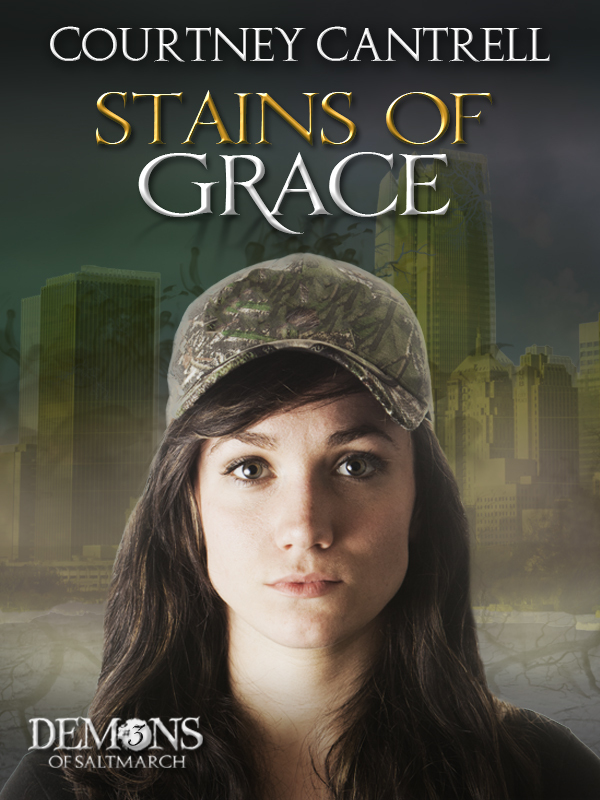 Stains of Grace is the third book in the Demons of Saltmarch trilogy. Approximately 80,000 words.